You know the old Bluetooth experience. Assuming you got the device connected in the first place – already a bit of a challenge – you could look forward to dropped connectivity, slow transfers and high latency, and dead batteries. But that was years ago; Bluetooth has evolved. New devices are easy to connect, consume very little power, and perform reliably. 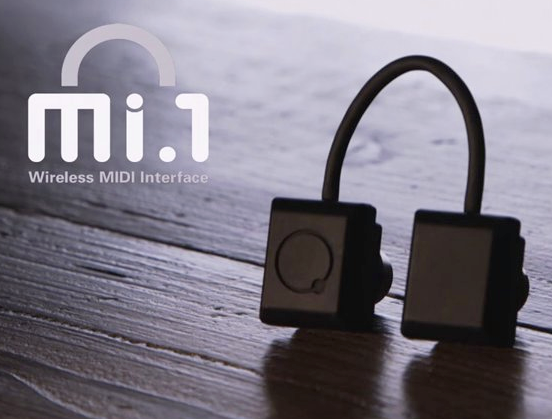 And that means there’s no reason that a Bluetooth connection couldn’t replace a cable when it comes to MIDI. Given that mobile devices are slim and light, it means finally using gadgets like the iPad the way they were connected – as mobile devices, not tied down with cable spaghetti. Now a Japanese startup is poised to make the promise of the latest Bluetooth Low Energy tech into reality. QUICCO SOUND has posted their first image, and the buzz I’m hearing suggests this little gizmo could deliver. There’s no English-language documentation yet, but we know that it’s getting attention from a major Japanese business daily and they’re starting crowd-funding. Thanks to Sebastian at Audiobus for the heads-up.